Before I left home, the satellite showed no cloud cover. However, by sunrise time low clouds had appeared over the ocean. 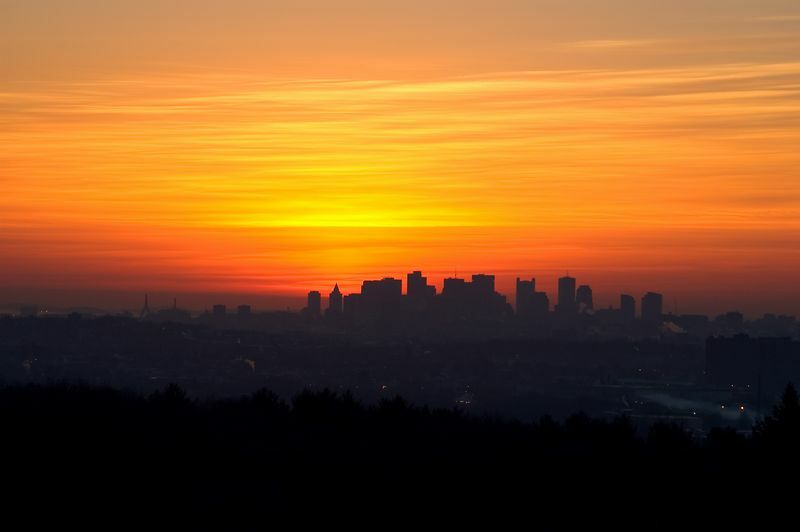 This is a picture of Boston from Robins Farm in Arlington, a few minutes before the sunrise.